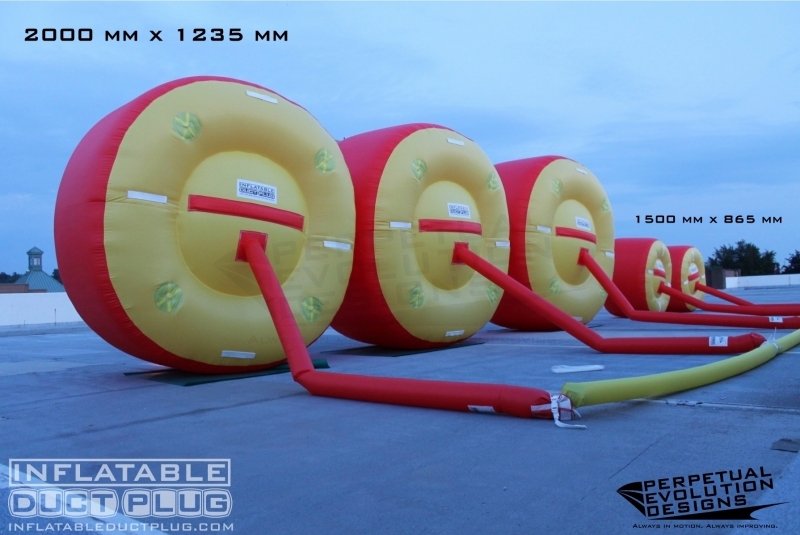 Many opportunities arise for the use of an inflatable duct plug when the need to block off areas from airborne substances is presented. The inflatables are custom designed to fit each particular job. They are capable of supplementing zero leakage dampers when the need to eliminate aerosols and particles is present. Duct plugs are easy to install and are also reusable. This makes them a great alternative to having a crew build barriers using wood, plastic, scaffolding and plastic sheeting. Install and take down happens in a matter of minutes, vs days and weeks it can take to build structures inside dark, remote locations with small access doors. 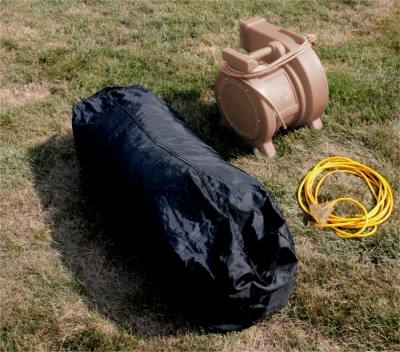 The inflatable pictured here measures 10' x 10' x 5' deep and packs down into a duffle bag that consumes approx 3 cubic feet. Weight on this inflatable is 32 lbs.